I just saved this car the other day. I have done some research and I know there are a few guys with L67 3rd gens around, would love to have their input but this car isn't quite the same. This guy was sitting in a parking lot waiting for the wrecker to come pick up his car, I had to ask more. It has a custom front end on it, which is what drew me to it. Turns out someone swapped the whole front subframe out of a GTP, into this little car. It's tearing it to pieces by the way, but that's getting fixed in the next few weeks. I have no idea how the wiring or computer/s were done, but it runs and drives fine. Needs maintenance, nothing I can't handle. I would like to know more about the car, does anyone know it? or has anyone seen it before? Interesting. It looks like the front track width is about 6" more than the rear? That would create some pretty strange handling. It doesn't seem familiar to me, but it looks like a very cool find!! Widening the rear track to match wouldn't be hard if you've got the skills or money to do the body work for it. Yea the width does mess with the handling, not to mention the motor weighs twice what the 2200 did. It's more of a point and shoot car, corners are not friendly. 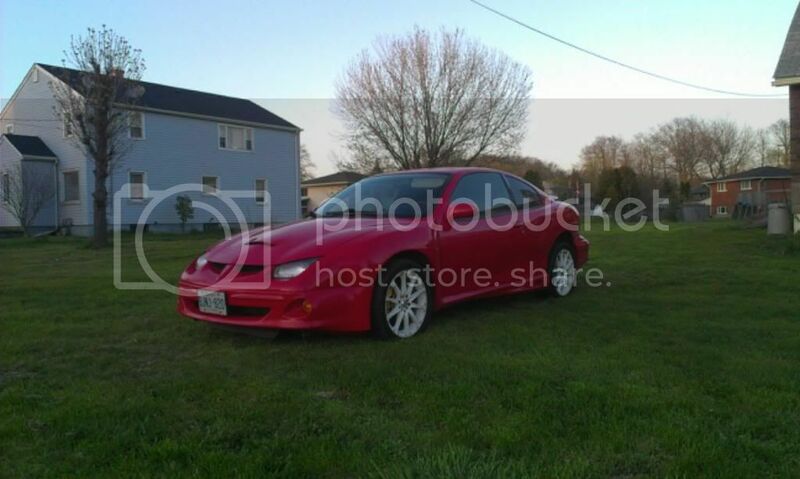 I was thinking of getting the rear axle from a GTP, for the brakes. Not sure if I would chop it down to fit the stock body, or have someone do the bodywork. I can fabricate parts, but not bodywork. Thats awesome. Ive never seen anyone use the GTP subframe. Id love to see some pics of how everything is attached. I need a reference for a project Im planning. If it is all bolt in for the most part, this opens up a lot of possibilities. Time for a rear wide body! I will have it on a hoist this weekend. I'm going to get lots of pictures of how it's been done, and then how I fix it. I can't even think about doing the rear yet, some ideas are floating around though. Good find! I'm loving the front widebody stance. If you were to swap your front bumper out for a 00-02 GT bumper and make the rear widebody, this car would look amazing. Ive never seen anyone use the GTP subframe. Id love to see some pics of how everything is attached. x2 looking at it, the GTP subframe mounting points are much wider in the front and more narrow in the rear. Not worth it IMHO, not when it's so easy to modify our subframes to fit the motor. Maybe the previous owner skimped on quality work and that's partly why your having issues now? Without serious modifications, it won't, I just measured and the bolt holes for the GTP rear subframe would stick about 2" past our unibody frame rails on each side. 99+ N-Body is about the same thing and basically bolts right in. Thanks, I love the way it looks from the front. It's just mean. It would be nice if it had a GT bumper, but this one has been flared and moulded to fit with the wide fenders. 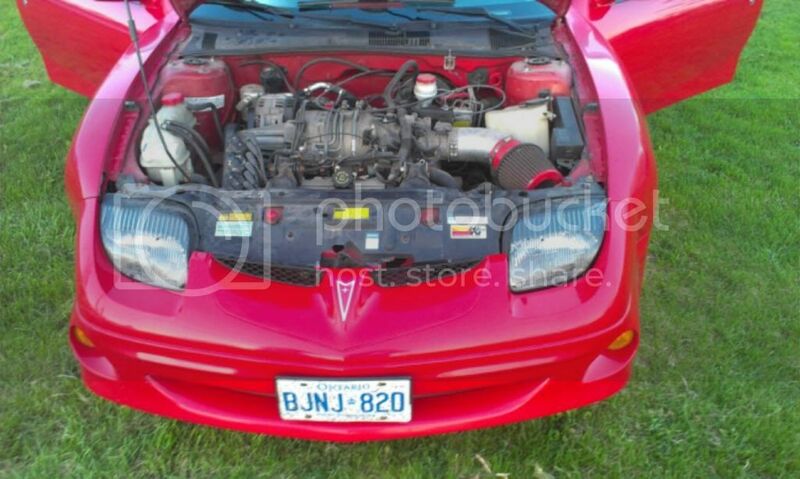 The front end, minus the hood, can't be swapped easily. From the information I'm getting about the car, it was done by a shop that didn't fully know what they were doing. The wiring and bodywork was done well, but the motor install is a nasty piece of work. I remember when this car was built years ago. The shop had no idea what they were doing. Cool car, just done the wrong way. Be glad you didn't have to pay the shop bill then! I'm doing all the work myself and it's still expensive, if I had to pay what they would charge for my labor at work, then I'd be more than $10K into this. The front bumper is urethane, if it doesn't line up when you bolt it in, you can fix that by heating it with a blow drier and slowly bending it into place. The most difficult part is getting the paint to match. When doing my swap, getting the engine mounted was the easiest part. I've spent so much more time on the wiring, but it's still not that bad, just time consuming. Honestly, the sanding and painting scares me the most. I wasn't sure about the front bumper, but that's good to hear, thanks. I would really like to know more about the computer situation though, the fact that it runs and most of the gauges work surprised me. I know the cost for getting a shop to do this, would be insane. I'm glad I got the car for cheap. It's gonna take a lot of work. The gauges work because its a grand prix cluster in there. Okay that makes sense, thanks. I thought it looked different, but this is my first 3rd gen, had no idea. If I remember correctly, it was owned by a female years ago, she had the work done by a shop for a crap load of cash... it was at a JCO bash at Sparta. I'd love to see pics of the under side to see how they did it.. I will get lots of pics of how the car sits as is, and what needs to be fixed. This isn't my only project for the summer so it might take some time. Hope to make some progress next week after the JCO meet. Thanks, I really like how the front end looks. Would have been nice if they did the rear though. There is no HUD, good idea though, I never thought about that.